Two things happen on this one dark night, one has global implications, the other effects only two families, but with much deeper and more immediate impact. On this same night Earth’s long lost ‘twin’ is discovered orbiting nearby, and this news is being broadcast over the radio as young Rhoda – an intoxicated minor – has a terribly inopportune lapse in concentration which sees her car hit another stationary vehicle. Two people die in the stationary vehicle, a woman and a child. They’re husband and father respectively, survives, albeit in a come. Rhoda survives too, but is sentenced to four years imprisonment. Four years later. Rhoda is released. She feels her young life is ruined and that she deserves her lot, so she takes a menial role cleaning the local school. In learning that the other survivor, John, has awakened from his coma and moved home, Rhoda decides to visit him to apologise. Perhaps they can both confront their demons. Only it doesn’t pan out that way. As John’s door opens Rhoda forgets her script and ad-libs a diversion about representing a cleaning service offering a ‘free look’. She is equally startled when John says ok and suggests she get right to it. It turns out that because Rhoda was a minor at the time of the accident, her name was suppressed from both the press and John himself. All she has to do is leave, regather and return later for another try. But Rhoda instead hangs around to follow through with the ruse, and is astonished to see the extent to which John has let himself go. Empty alcohol bottles are strewn through the home, with plates, clothes and rubbish left where they fell. As she leaves John offers her a weekly stint on a formal basis. This time with pay. Rhoda agrees, thinking next time she will tell him the uncomfortable truth. Only before long it is too late for her to bring it up, as John is either otherwise occupied with his mourning, or drunk and unable to communicate coherently. In the meantime more news about Earth 2 (Who is in charge of marketing? Have them fired.) comes to hand. As well as being an exact copy of Earth, it is the same in every other ways. In fact every living being has a doppelgänger orbiting just a few million ks away, with the same name, same background and – at least up until the night that Earth 2 gatecrashed our galaxy – practically the same life. A space mission is announced to take a few of Earth’s elite to visit our twin planet, with one space available for a random citizen who wins an essay contest. This is a highly sought after, once in a lifetime opportunity, and Rhoda puts her pen to paper. Before too long John and Rhoda find themselves chatting. First about nothing, then about Earth 2, and finally about everything else. Rhoda never lies about her background, but she doesn’t bring up her role in John’s current predicament either. For a long time Another Earth was so low key that I thought it might pause to take a nap, then things started happening in bunches. With the two primary plot lines finally converging. Even then it isn’t an action packed film by any stretch, but the ending to the film saved it from being just another indie snoozer. Final Rating 7 / 10. 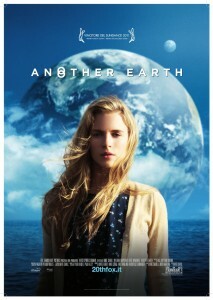 Another Earth is deliberate and thoughtful, with a final quarter hour that makes a few of the early slow parts and clock watching worthwhile.